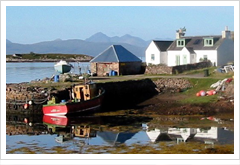 Pier Cottage, Applecross is a self-catering cottage ideal for holidays. 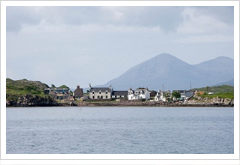 This traditional coastal cottage has ever changing views across the water to Skye and is the ideal venue for a fun filled family holiday, a romantic get-a-way or base for exploration. 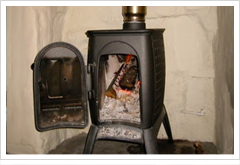 Pier Cottage is cosy and dog friendly. Located on the old Pier at Camusterrach, Pier Cottage is quiet and off the beaten track, for those who wish a holiday escape to unwind and experience the slow rhythms of the sea and rural life. The cottage is remote but has modern conveniences, for those who still need WiFi the cottage is connected to AppleNet Community Broadband. Sheltered from the ravages of the northerly winds by an outcrop of coastal rock, the cottage nestles on a sunny grassy shore above the rocky beach. 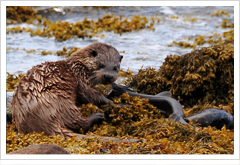 Pier Cottage is the ideal venue for Canoeing & Sea Kayaking; Otter & Bird Watching and Coastal Walks. The Bealach & Torridon Mountains are close enough for that classic Scottish Mountaineering day. 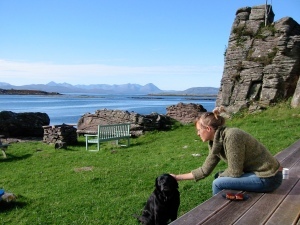 Applecross has a wealth of way-marked coastal & woodland walks, with our favourite from the Cottage along the coast to Ard-dhubh and over to Coral Beach. The stunning Sand beach is 6 miles North up the coast towards Torridon. The local Shop & Post Office stocks everything you will need for a weeks holiday. Whilst out walking in this rural crofting peninsula please be respectful of local sheep, cattle and chickens which roam freely and be responsible for your dog. Locally landed Seafood should be sampled. To eat out there is the famously friendly Applecross Inn and award winning Potting Shed set in the tranquil Walled Garden, each providing excellent seafood, local produce and baking, with outside sitting areas and wonderful views. Like us, your first visit to Applecross will not be your last.